Nothing says summer like a good ole barbecue! Although this summer staple can be loads of fun, it can also be a dangerous activity if the right precautions are not taken. Before you light up, keep in mind these helpful safety tips from the NFPA! – Where you place your grill is crucial for safety. Keep grills away from the home, deck railings and out from under eaves, overhanging branches and other flammable structures. You never know when a grease fire may start and when the wind may blow it a little too far. – Check the major connection points between the gas (propane) tank hose and the regulator and cylinder, and where the hose connects to the burners. Tighten if loose. – Check the propane tank hose for the potential leaks by applying a light soap and water solution to the hose using a brush or spray bottle. Once you turn on the propane tank, the propane will release bubbles around the hose if there is a gas leak. In no bubbles appear, it’s safe to use. – For a charcoal grill, if you use a starter fluid, use only charcoal starter fluid. Never add charcoal fluid or any other flammable liquids to the fire. – Clean your grill. Grease and fat may have built up on your grill from previous uses and they provide more fuel for a fire. – Choose your clothing carefully. Don’t wear clothing that has hanging shirt tails, frills, or apron strings that can catch fire, and use flame-retardant mitts when adjusting hot vents. – The biggest risk with grilling is fire. ALWAYS keep a fire extinguisher within a few steps of the grill, and make sure you know how to use it! – Keep a spray bottle of water handy. That way, if you have a minor flare-up you can spray it with the water to instantly calm it. The bonus of this tip is that water won’t harm your food, so dinner won’t be ruined! – If you smell gas, turn off the gas tank and burners immediately. If the smell continues to persist, move away from the grill and call the fire department right away. – Never, ever leave the grill unintended! If the griller needs a bathroom break, make sure there’s someone else watching the grill carefully. An unattended fire can double every minute. – Don’t overload your grill with food, especially fatty meats. The basic reason behind this is if too much fat drips on the flames at once, it can cause a large flare-up. – Use barbecue utensils with long handles (forks, tongs, etc.) to avoid burns and splatters. – Make sure to clean grill to prevent build up of grease and fat in trays and below the grill. Cleaning it after you’re done will keep your grill safer for use next time. 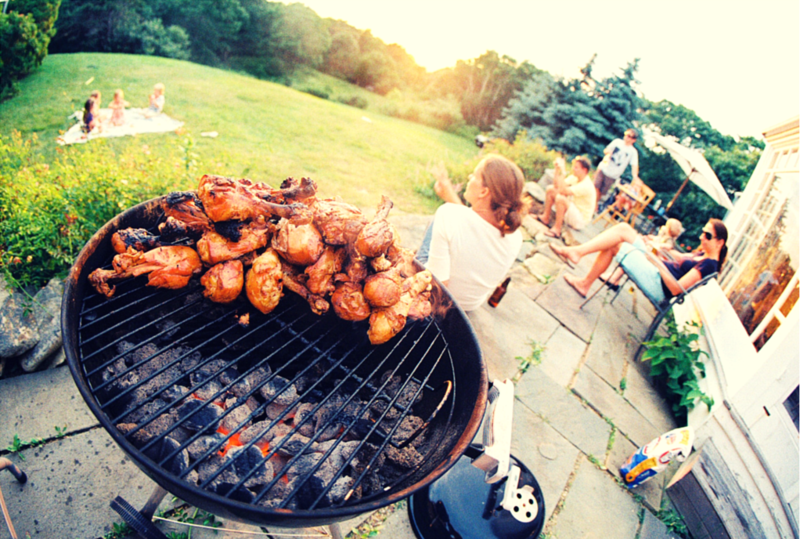 Enjoy your barbecues and stay safe this summer by keeping these tips in mind before you fire up the grill! So You Have a New Apartment – Now What?